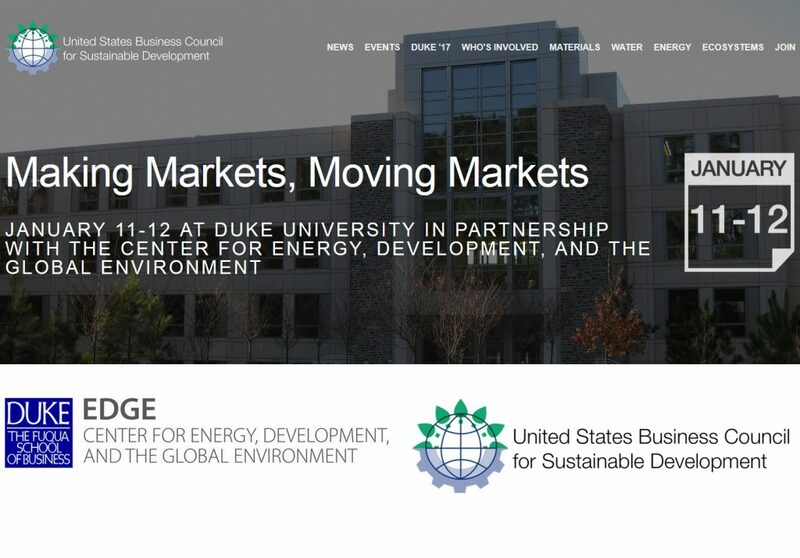 Duke University’s Center for Energy, Development, and the Global Environment will host the Winter meeting of the U.S. Business Council for Sustainable Development (USBCSD) on Jan. 11-12, 2017. Focused on the theme of “Making Markets, Moving Markets,” the meeting will bring together industry professionals and academics to explore the ways business can use market mechanisms to help solve the biggest sustainability challenges–from carbon to water, circular economy, ecosystems and a range of other complex issues. The event is open to both members and non-members. For more details and the agenda, visit http://usbcsd.org/duke-2017/.